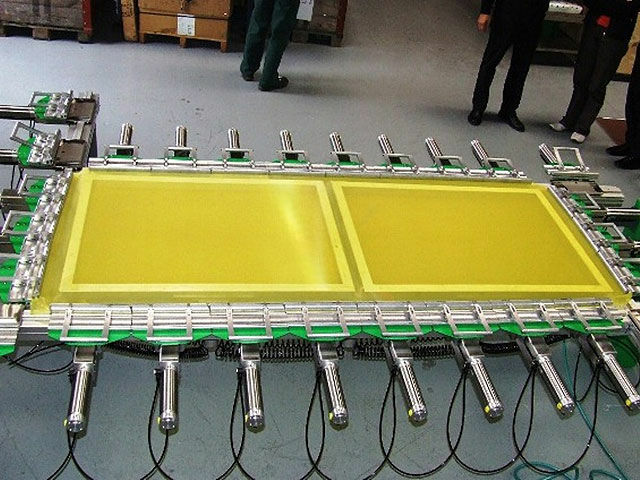 Stretching equipment is used in the production of screens to tension mesh, and facilitate the attachment of the mesh to the screen by glue in the case of static frames. 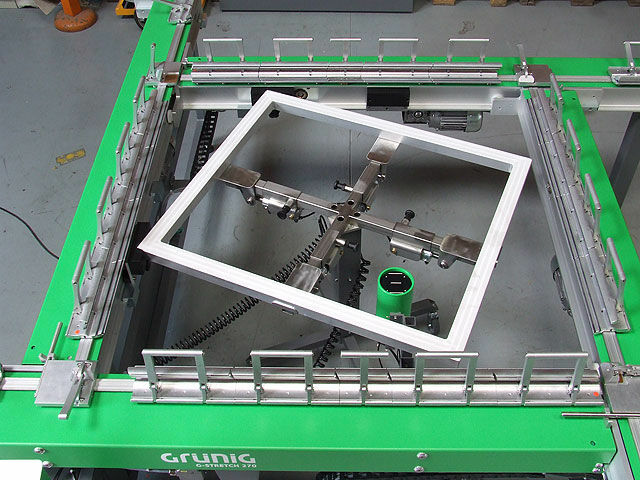 With retensionable frames, the stretching machine often simply manipulates the frame itself in order to stretch the mesh to the desired tension. 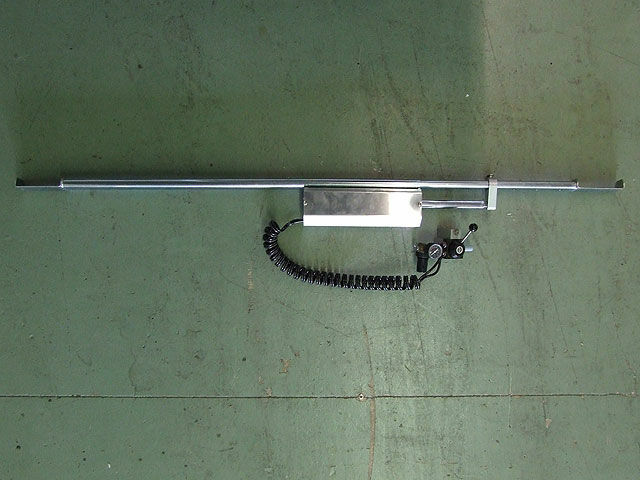 Stretching equipment can vary widely, based on the frame type it is intended for, as well as the force that actuates it, for example, manual, electric, or pneumatic. 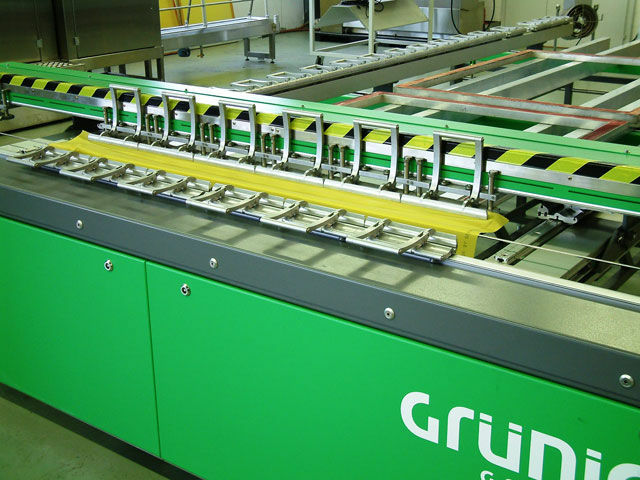 The G-BOND 770 UltraCure is an automated system that both precisely applies and rapidly cures UV glue. 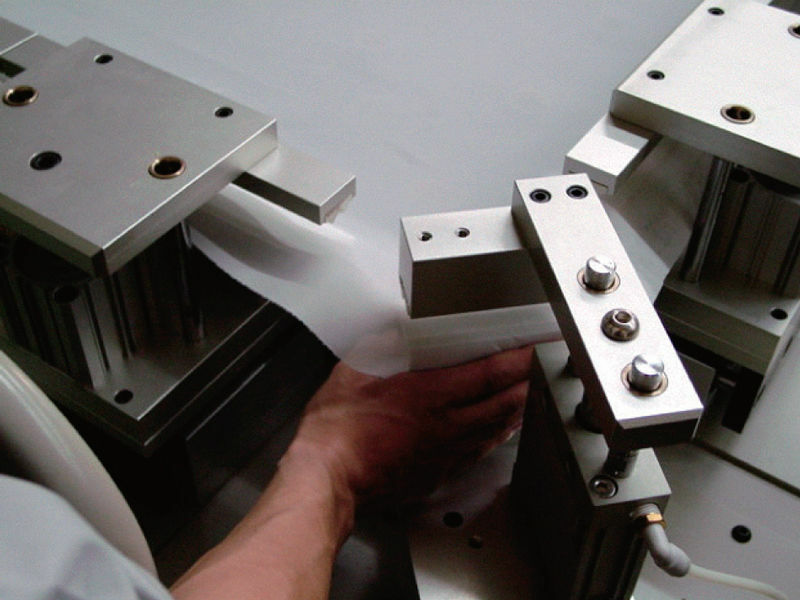 It allows the gluing process to be precisely optimized, and lowers process times, creating cost savings. 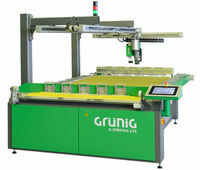 It is designed to be integrated with the G-STRETCH 270A to allow automation of the stretching and gluing process. 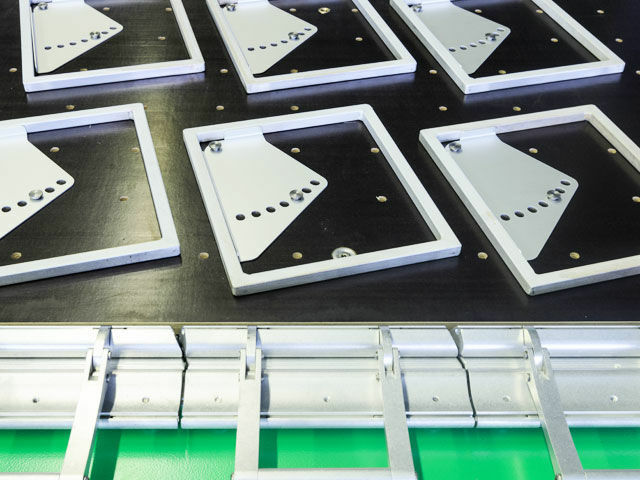 The G-BOND 770 includes a 4-lamp UltraCure UV unit for accelerated curing. 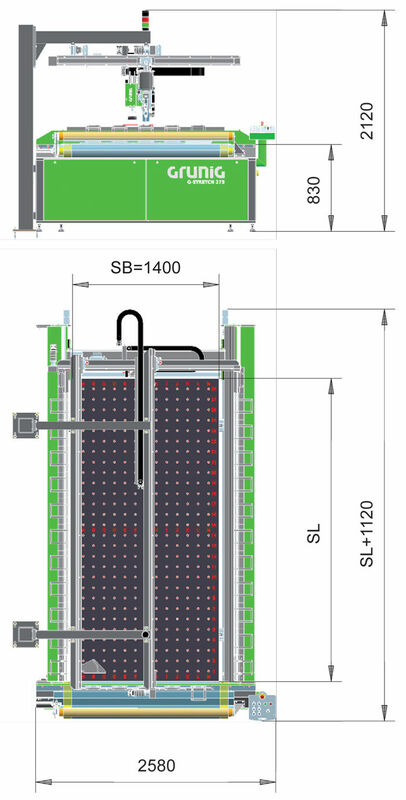 This allows for shortened dry times and optimal curing. The operator is protected from the UV light by a built-in UV protection device. 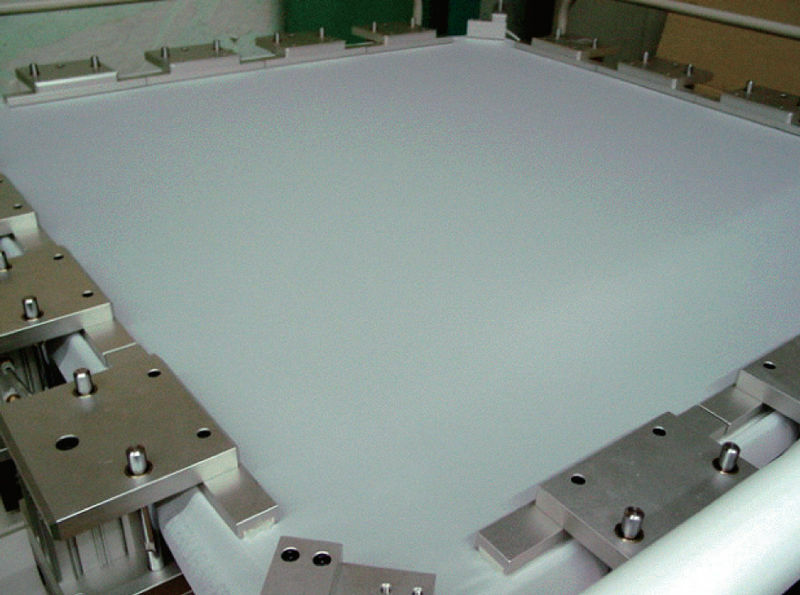 The amount of glue can be precisely adjusted to a variety of requirements and frame properties. 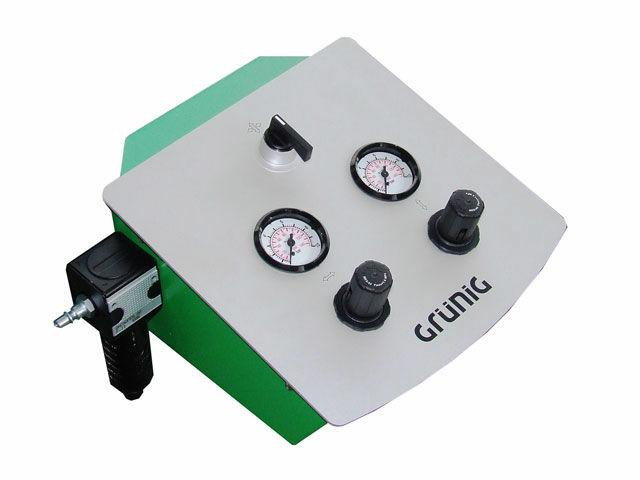 An advanced metering system and pressure vessel can be fine tuned for optimal application. 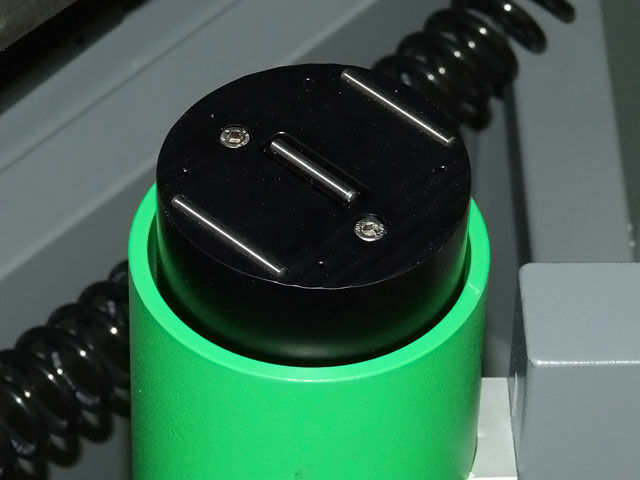 The retractable KIWO UV gluing head/nozzle includes drip protection. 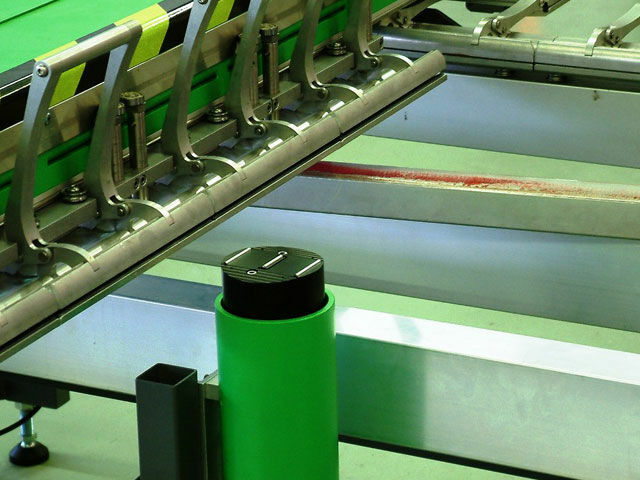 The G-BOND 770 creates no solvent emissions, protecting staff and the environment. 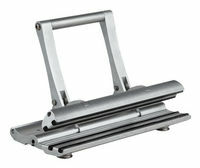 The G-STRETCH 201 is a rugged duplex stretching clamp. 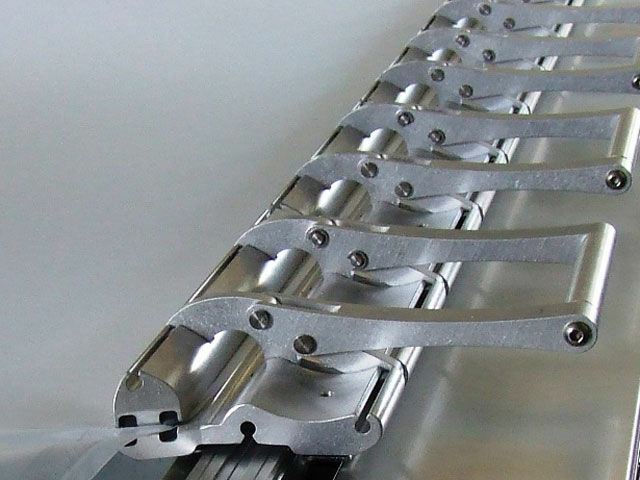 The wider G-STRETCH 201 clamp allows for the use of fewer clamps on stretch devices, making for a more efficient, optimized, stretching process. 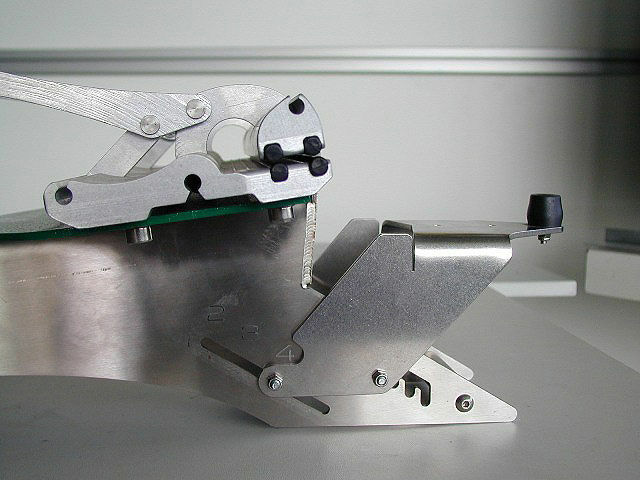 The ergonomic structure of the G-STRETCH 201 clamps allows for easy opening and closing. 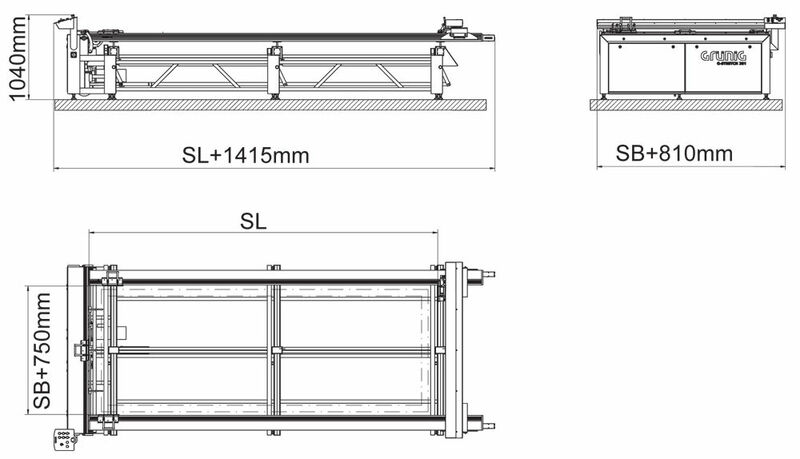 Additionally, due to the wide opening of the upper stretching beam and the mesh insert edge, the mesh can be inserted rapidly and in true alignment with the thread. The lower half of the clamp remains static while the upper part effectively stretches the mesh without slipping. 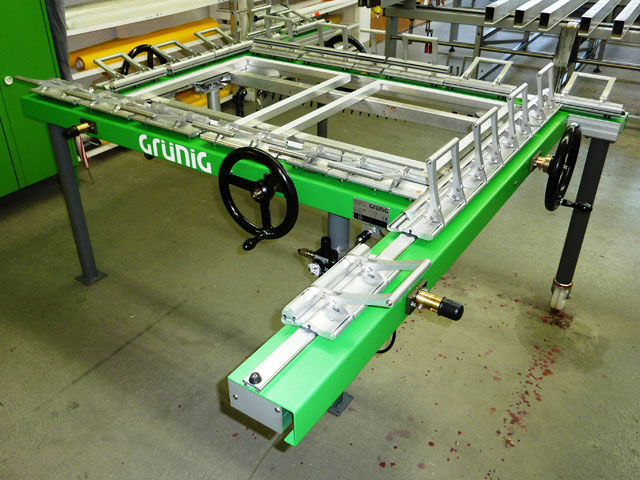 The G-STRETCH 201 can be easily repositioned on Grünig stretching devices. 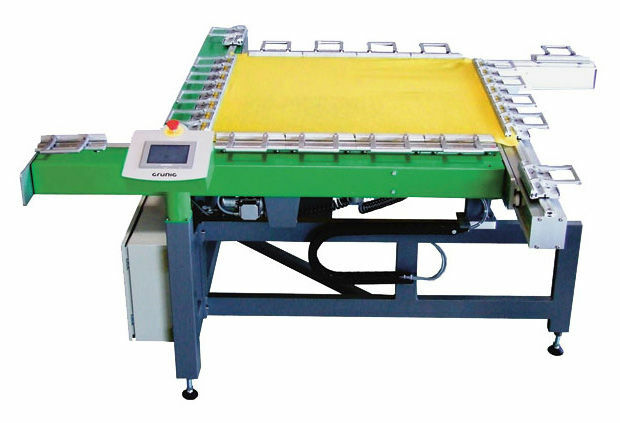 This allows it to easily compensate for high extension of the mesh, in either weft or warp direction, when the tension is increased. 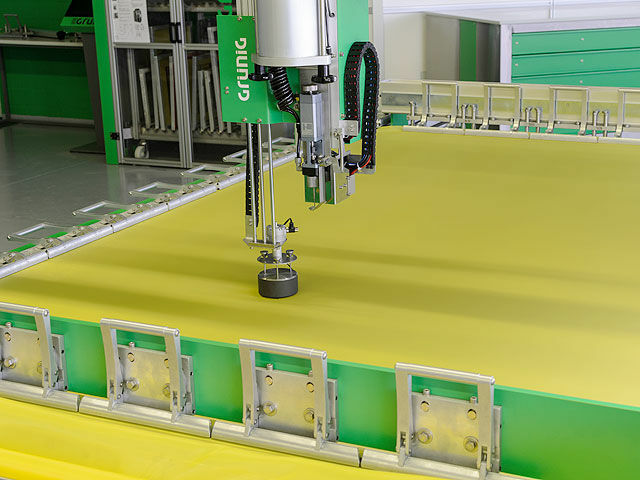 The G-STRETCH 202 is a pneumatic stretching system that represents a cost-efficient first step into professional stretching, enabling a high precision, reproducible process. 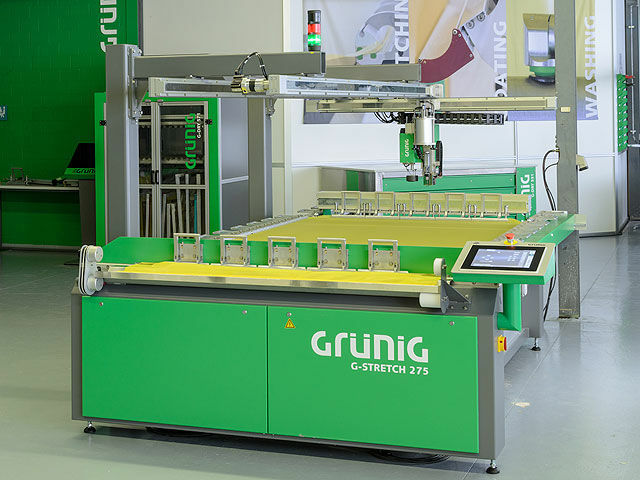 The G-STRETCH 202 includes a pneumatic two-circuit control panel, and provides automatic pre-bowing of the screen frames as well as simple adjustment of the frame profile height. The desired stretch strength only needs to be adjusted for the first screen of a series. 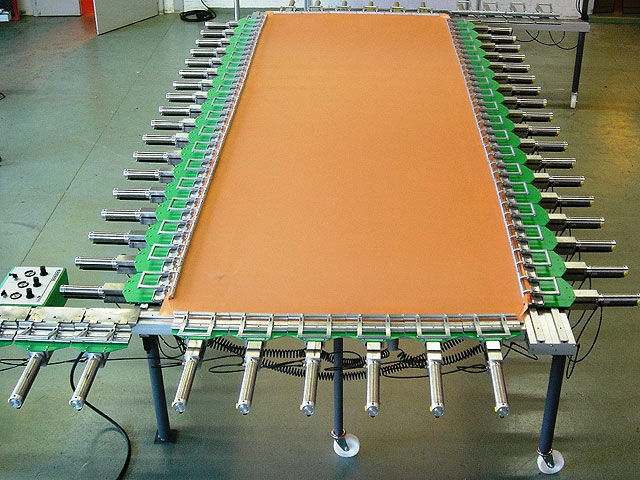 While the mesh is being stretched, the screen frame is prestressed with the same counter-stretching force. 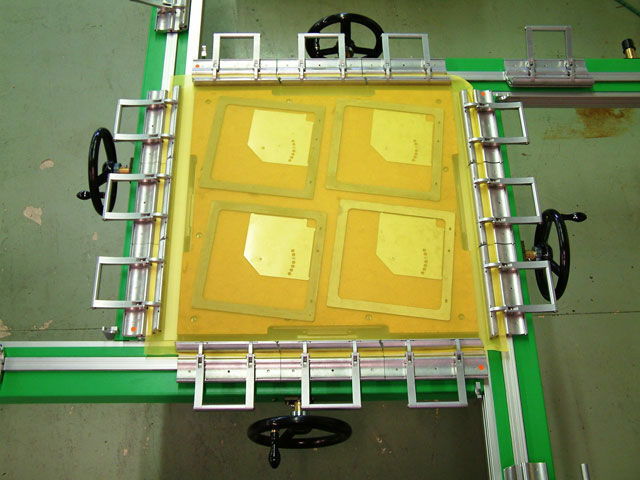 During the stretching process, the mesh is automatically pulled over the frame. 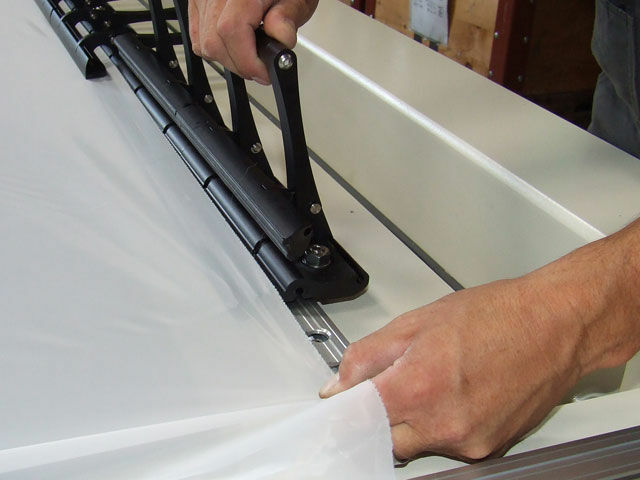 Once the stretching process is completed, the mesh can be glued directly onto the frame. 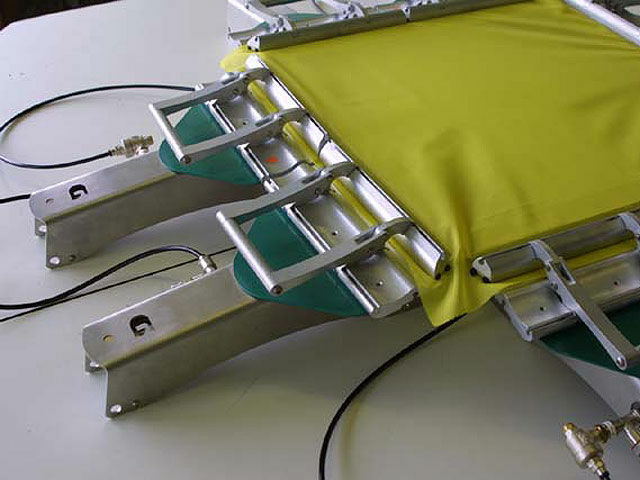 In the event of mesh tearing, retaining straps prevent the stretching clamps from bouncing back. 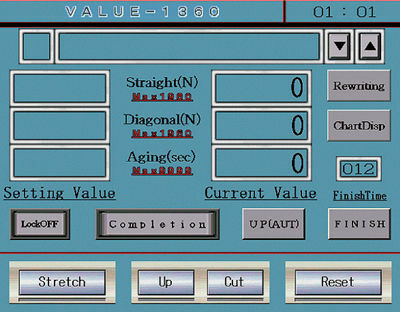 With the addition of a manual control console, the stretching values for both axes can be programmed independently from each other. The stretching process is controlled via a central switch. 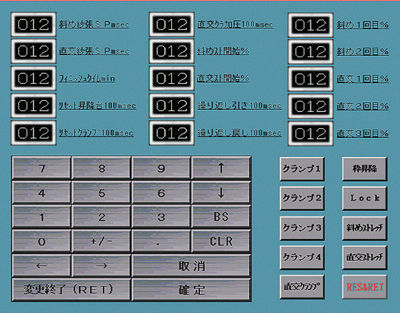 In the automatic mode, the system offers you 30 total freely programmable programs. 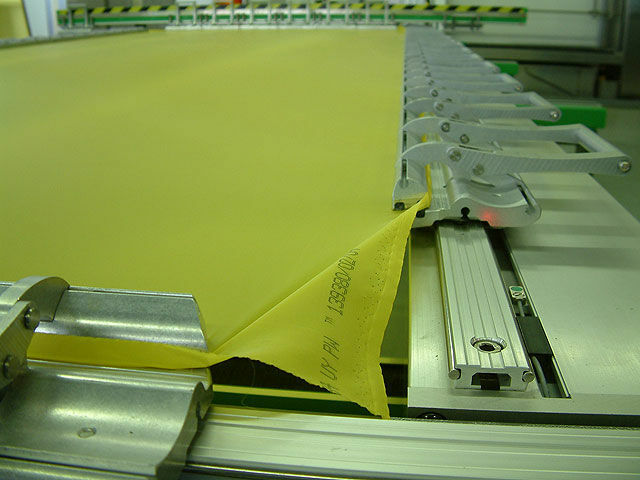 Upon starting the machine, the mesh is stretched in a fully automatic manner. 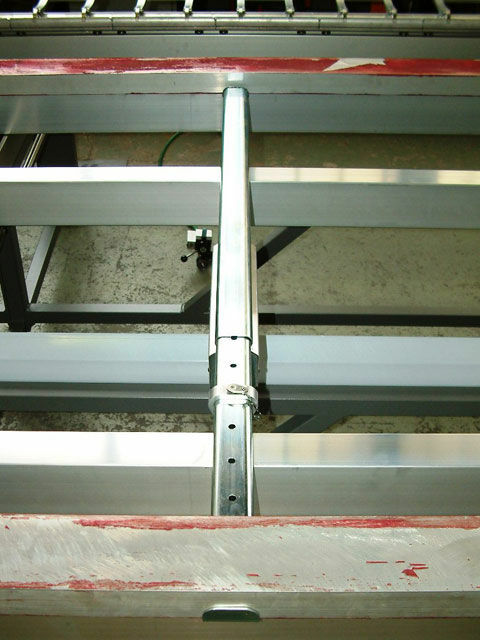 The system can be enlarged as required, in increments of 250 mm, by the addition of stretching clamps. 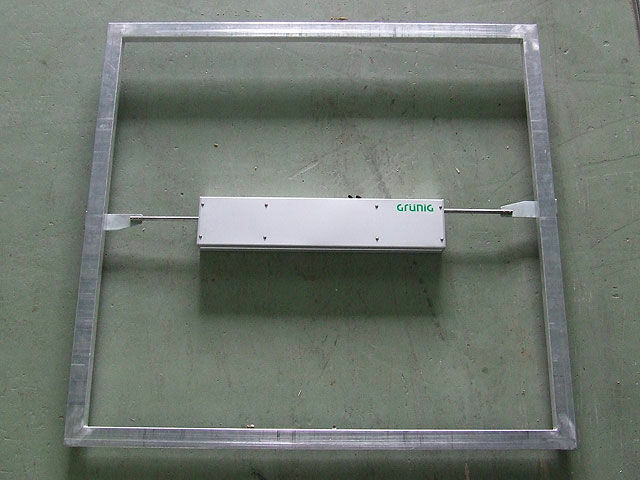 The G-STRETCH 208 is a frame pre-stretching device that can improve reproducibility while increasing stretching quality. The pre-stressing procedure ensures that after cutting out the mesh, the drop in tension will be considerably reduced. 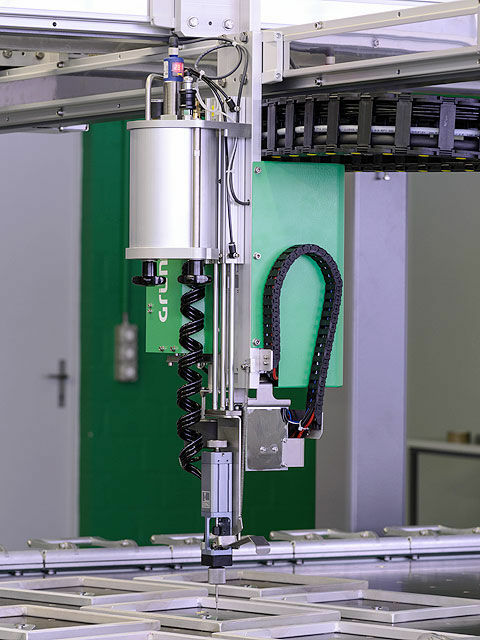 The G-STRETCH 210 is a mechanical stretching machine that provides flexible mechanical stretching for all types of meshes with incredible precision. 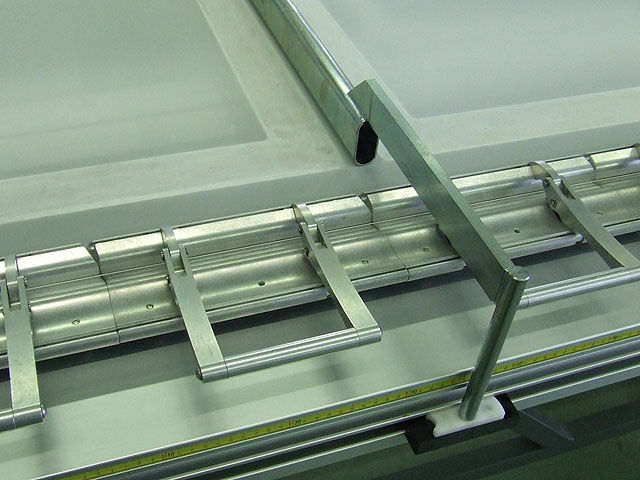 When the mesh is stretched, the screen frame is pre-stressed with the equivalent counter-stretching force. 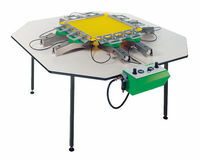 The machine can be operated on a mains-independent basis (without electric power and compressed air). 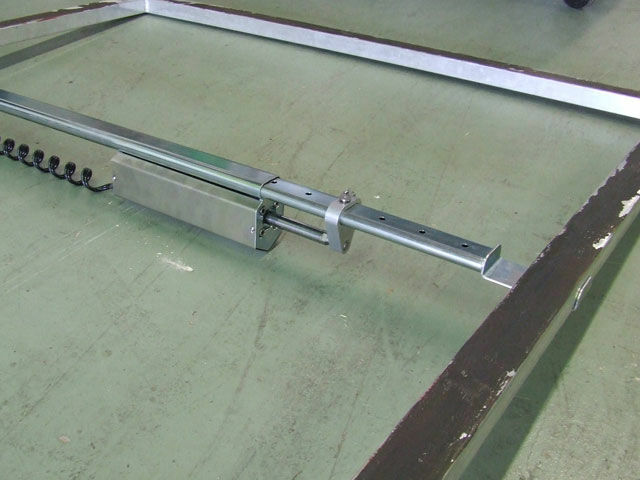 The frame is pneumatically raised into contact with the mesh by a foot-powered pump. 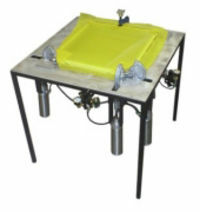 The frame is pneumatically pressed onto the mesh by means of a foot-operated pump. 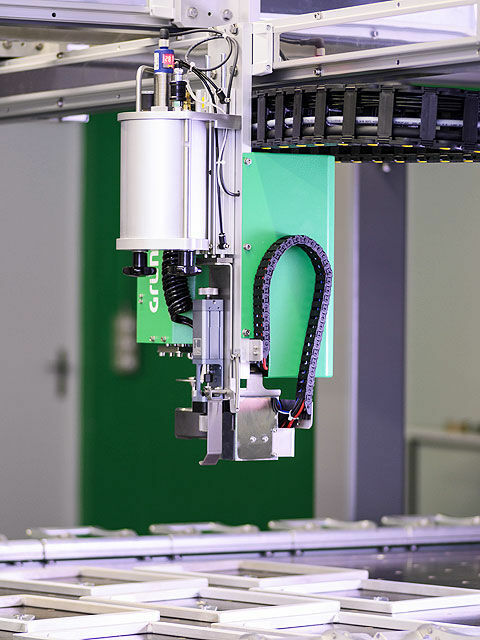 The machine is connected to a pneumatic supply source. 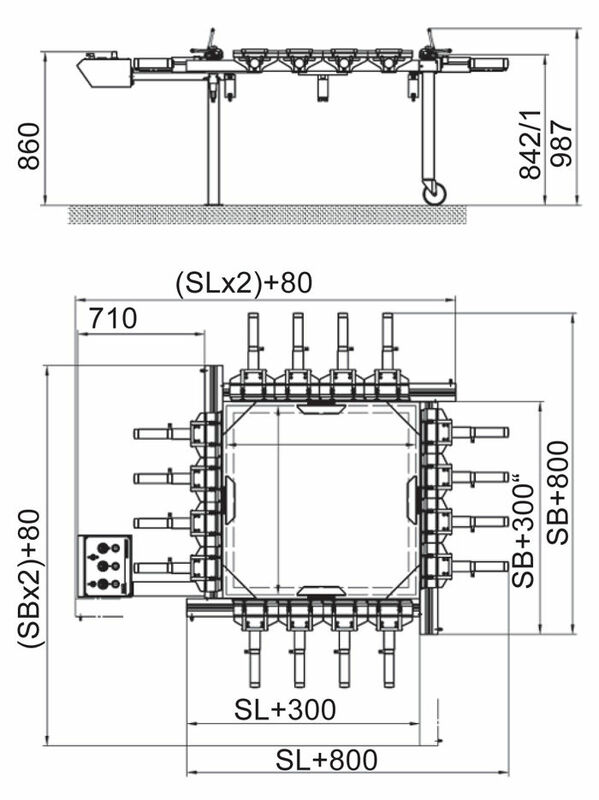 The frames are pneumatically pressed onto the mesh by means of a pressure regulator and a manual valve. 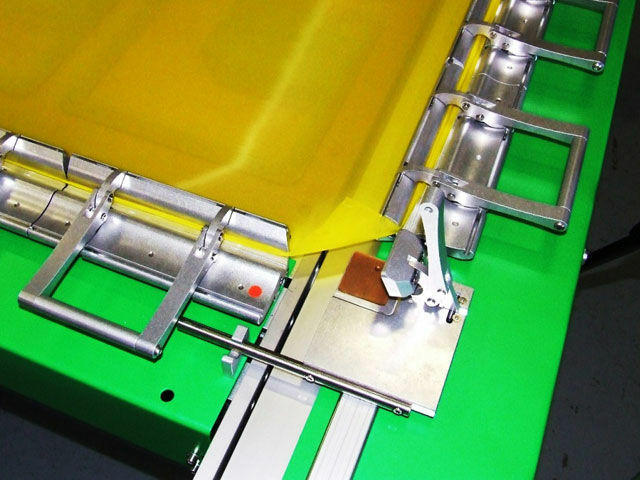 Additional screen frame support can be attached to two or four sides for increased contact pressure when a support plate is inserted into the machine in order to stretch several small screen frames at the same time. 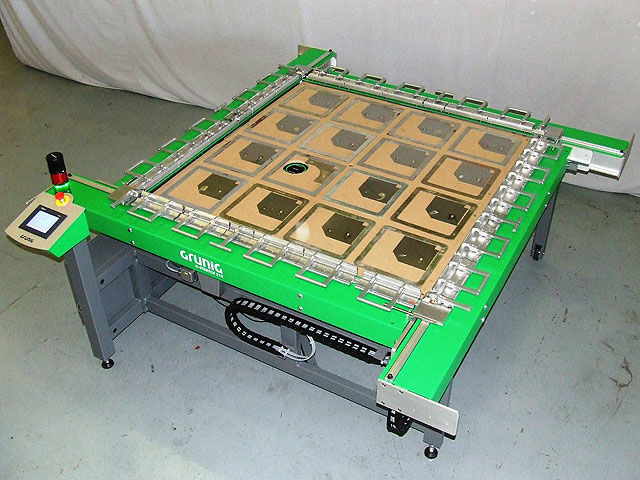 This option consists of a wooden board with either 4,6 or 9 adjusting plates (as required) for CD screens. 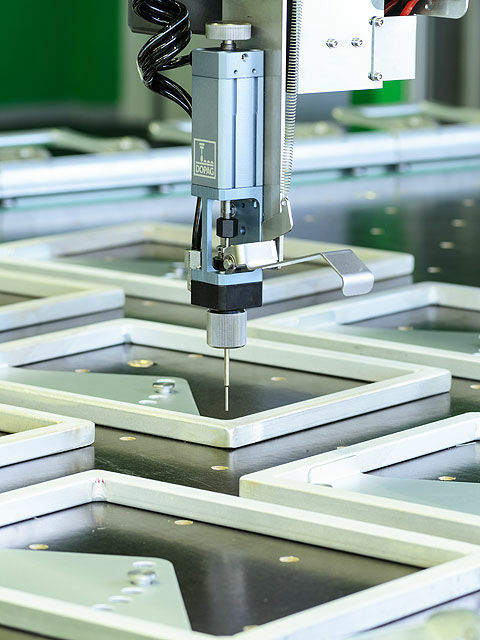 This allows a precise setting of the desired stretching angle in increments of 0, 7.5, 15 and 22.5 degrees. 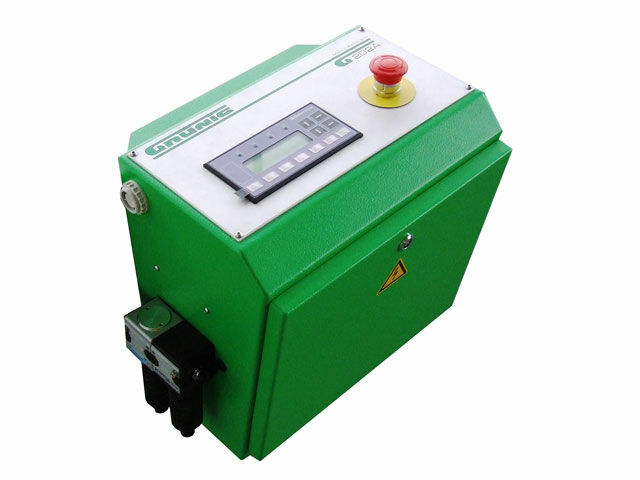 The G-STRETCH 215 is an efficient and user-friendly pneumatic stretching machine. 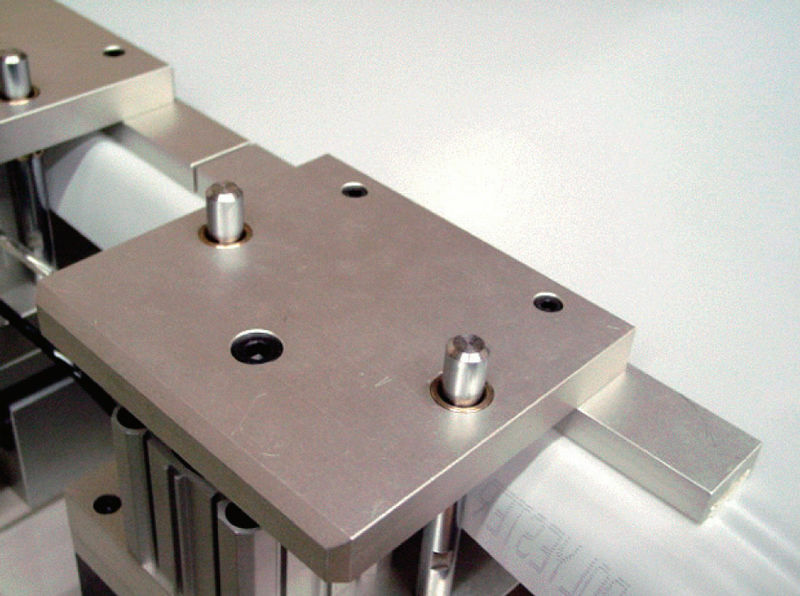 The mesh is automatically stretched by means of pneumatic stretching clamps. 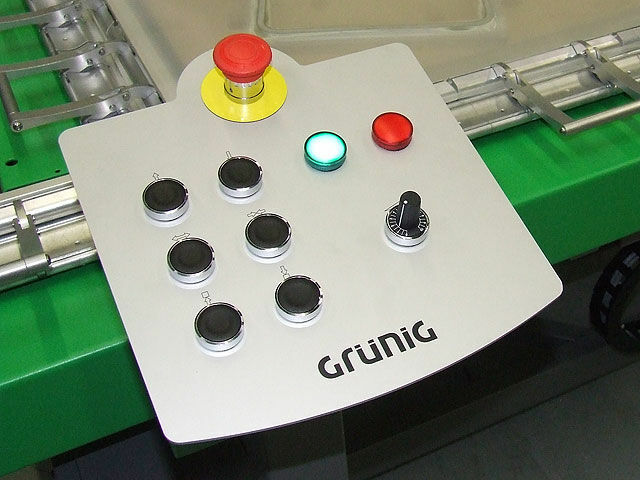 The simple and easy-to-use control module contains three separate circuits regulating the X, Y and Z axes. This allows for individual adjustment of the stretching power and speed. Additionally, the stretching power needs only to be adjusted for the first screen of a series. 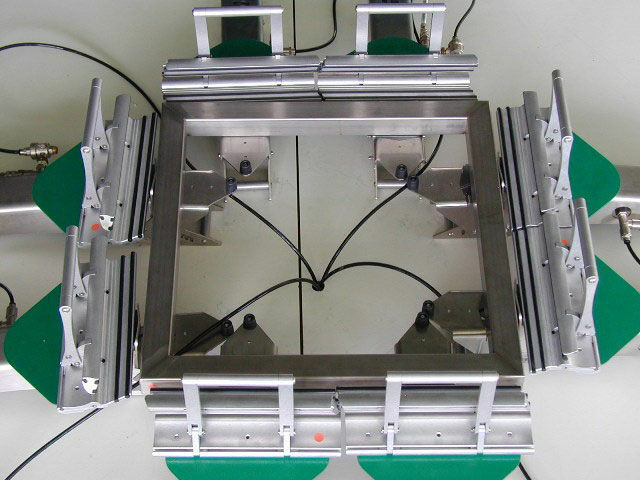 The clamps themselves are actuated by means of two manual switches, one controlling the X/Y axes (mesh tension), and the second for the Z axis (frame contact pressure). 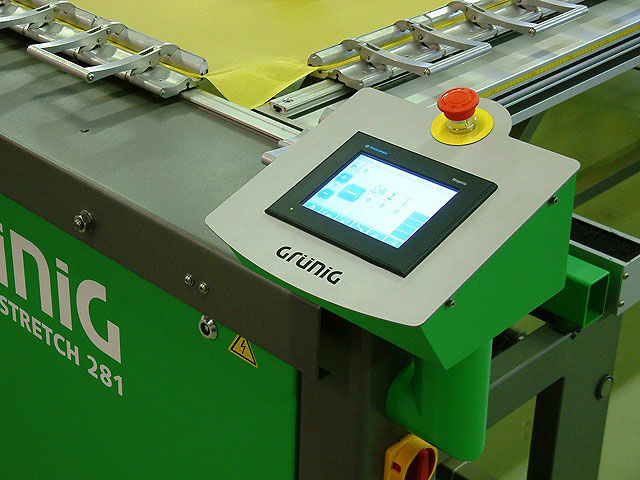 The G-STRETCH 215 can be adjusted in seconds to a range of screen sizes, from large to very small. 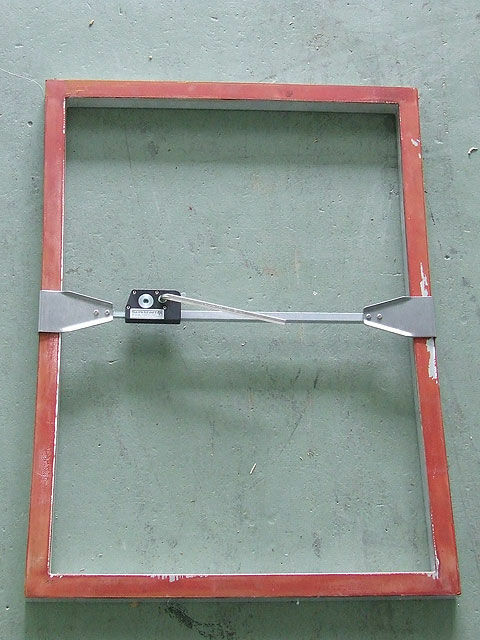 This option consists of a wooden board with either 4,6 or 9 adjusting plates (to be selected) for CD screen frames. 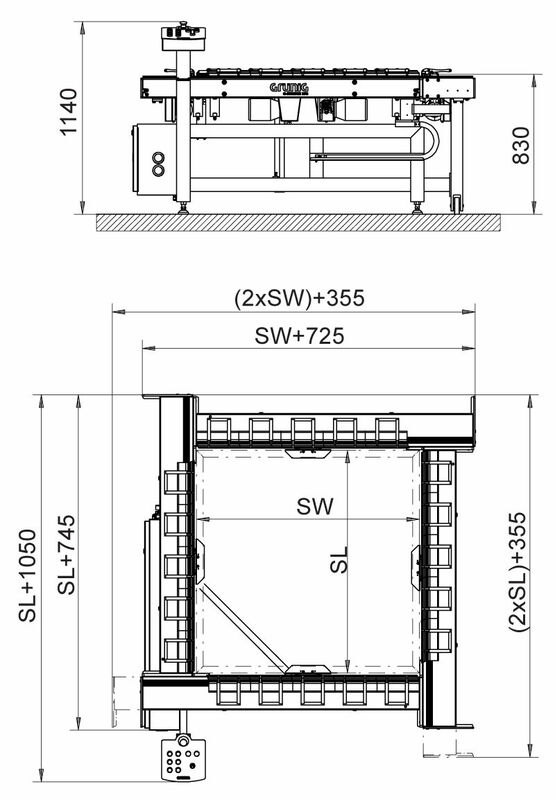 This allows a precise setting of the desired stretching angle in increments of 0, 7.5, 15 and 22.5 degrees. 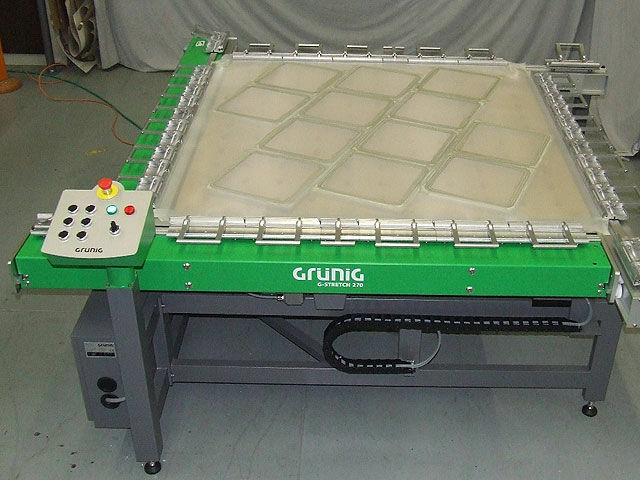 The G-STRETCH 270 is an electromechanical screen stretching device that allows precise stretching for all meshes. 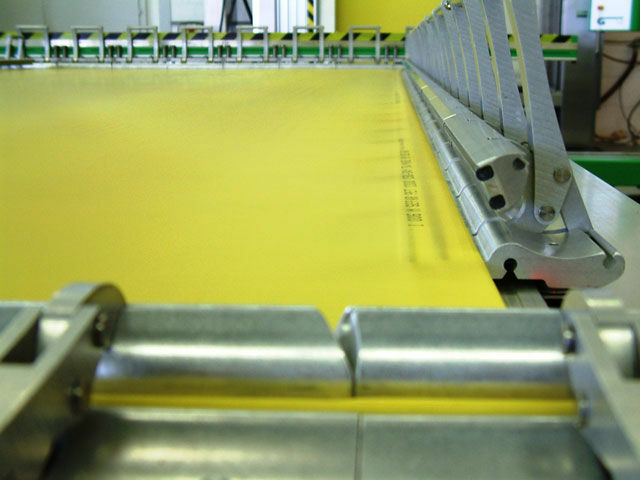 The mesh is automatically stretched in weft and warp directions by electric motors. 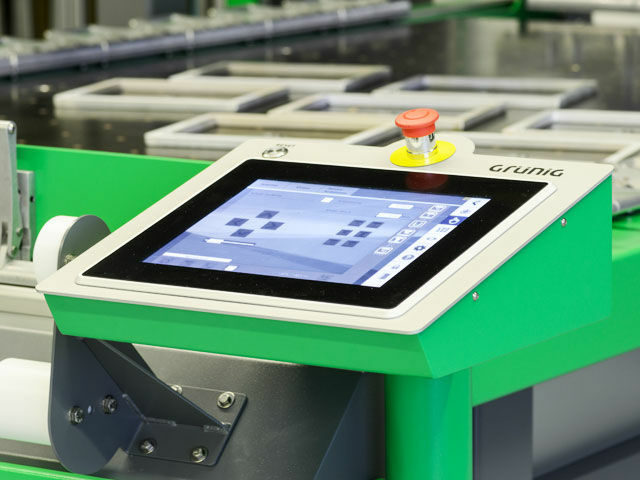 This system guarantees optimal handling and the highest stretching precision. 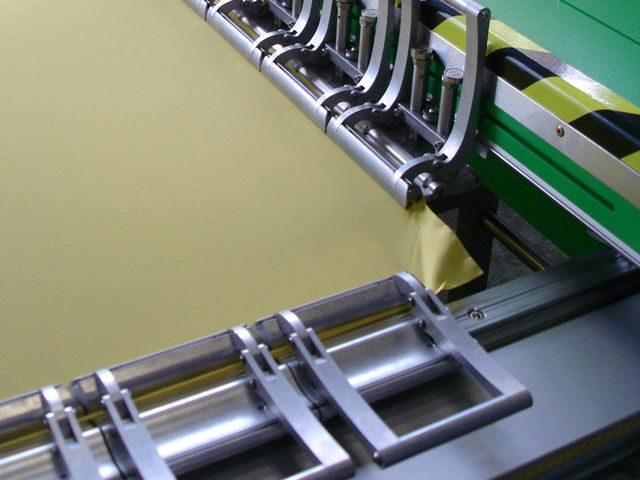 During mesh stretching, the screen frame is pre-stressed with the same counter-stretching force, and stretching is in true alignment with the thread, without any distortion of the mesh. 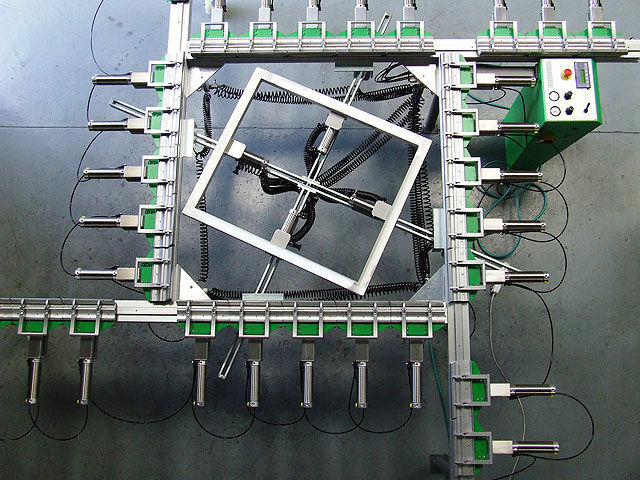 With the addition of corner clamps, the mesh can be pre-stressed in the corner areas. This avoids any undesirable distortion or “pillow effect” on the mesh. This option consists of a wooden board with either 4, 6 or 9 stop pieces (numbers to be selected by customer) for CD screens. 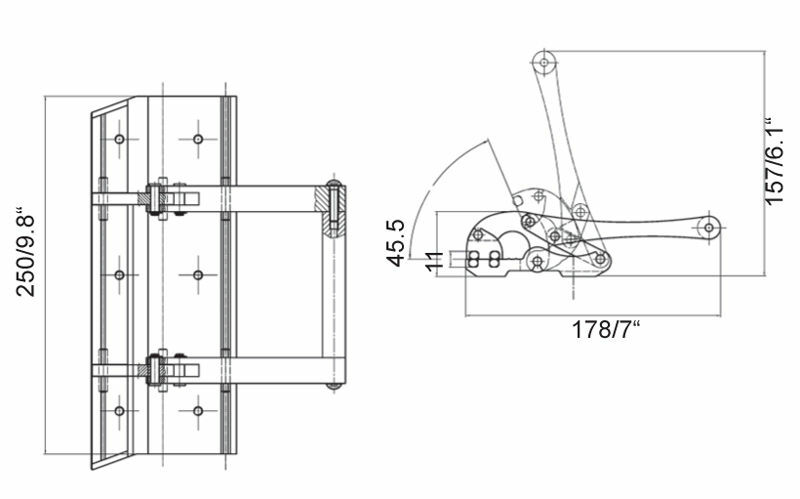 This option allows a high-precision adjustment of the desired stretching angle in increments of 0, 7.5,15 and 22.5 degrees. 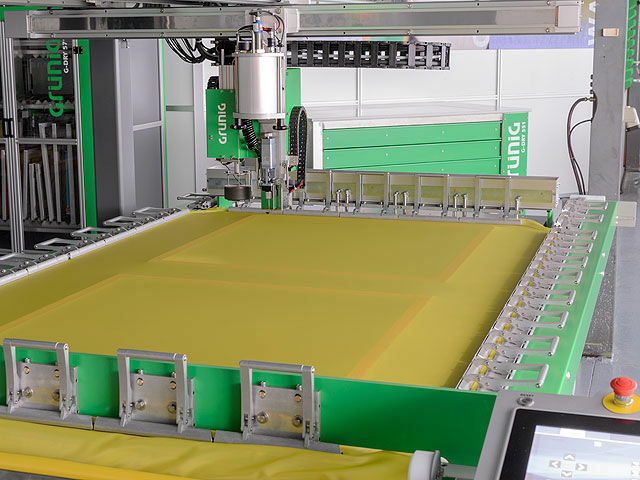 The G-STRETCH 275 is an electromechanical stretching and gluing system that is able to stretch the mesh directly from the roll and cure the frame adhesive by means of UV-LED technology. 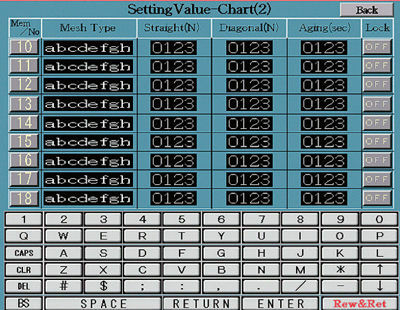 The modern design of the user surface guarantees uncomplicated and clearly structured operation. 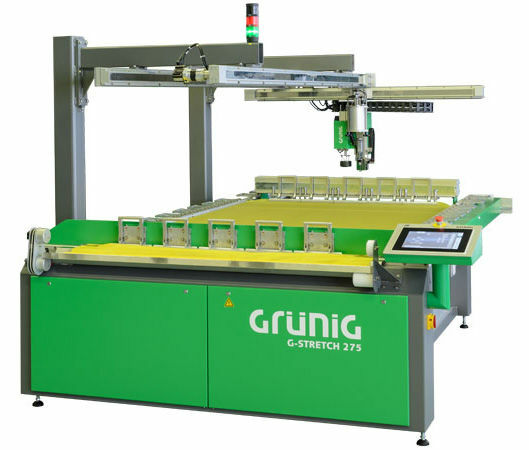 The G-STRETCH 275 has excellent flexibility and can accommodate different screen frame sizes. 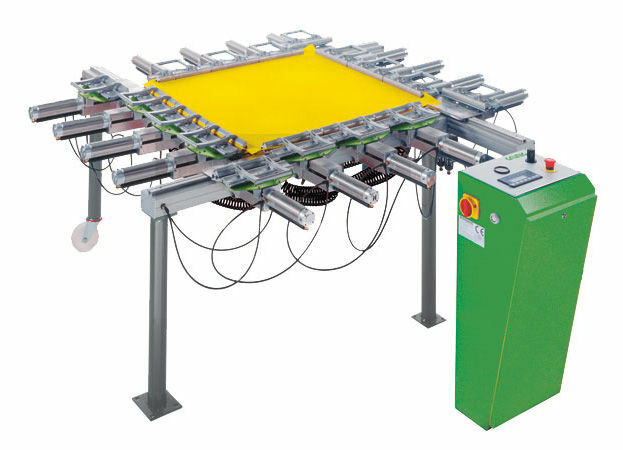 The electromechanical stretching system ensures stretching in true alignment with the thread, eliminating any mesh distortion. Operation via touch-screen terminal. 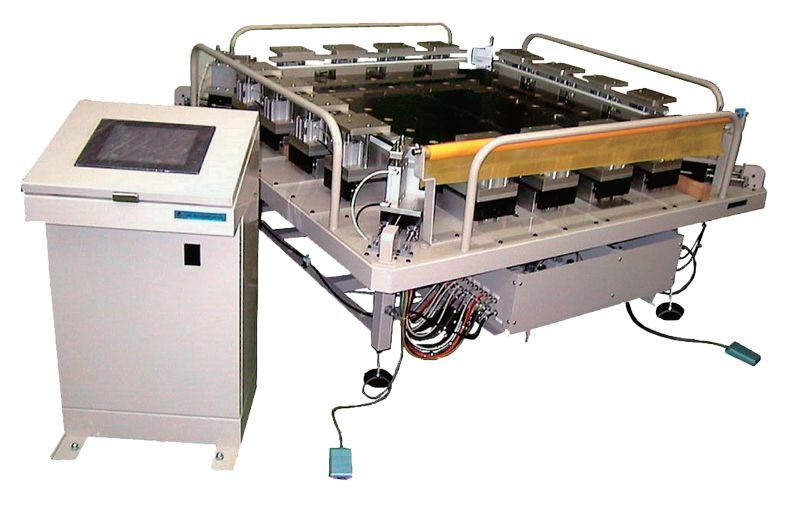 100 automatic programs with relative path measurement allow standardizing the stretching process, to be completed by subsequent manual fine-tuning corrections. 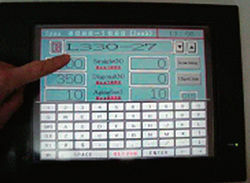 Operation via a touch-screen terminal with IPC. 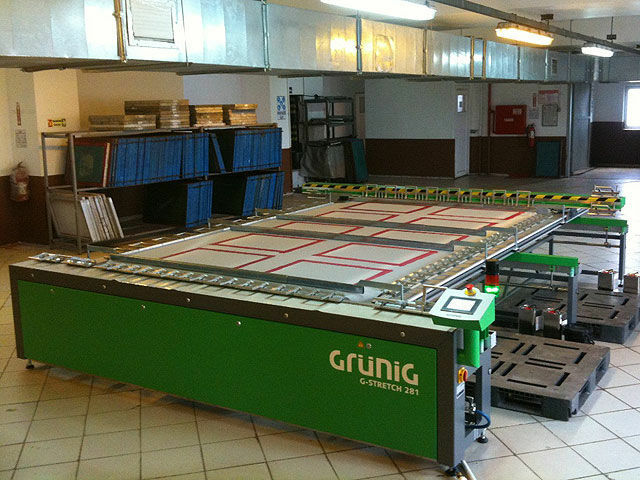 Includes gluing system UV BOND LED for a fully automatic gluing of the frame and the mesh. Unlimited number of stretching and gluing programs. 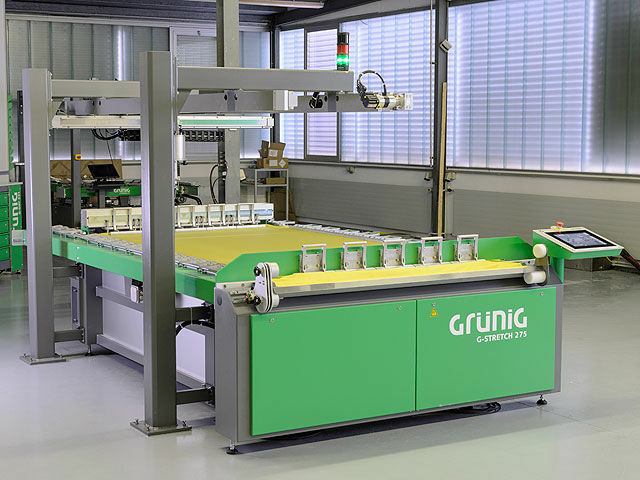 The option “Maintenance Diagnostic” allows immediate error analysis and assistance via remote maintenance by the Grünig support team. 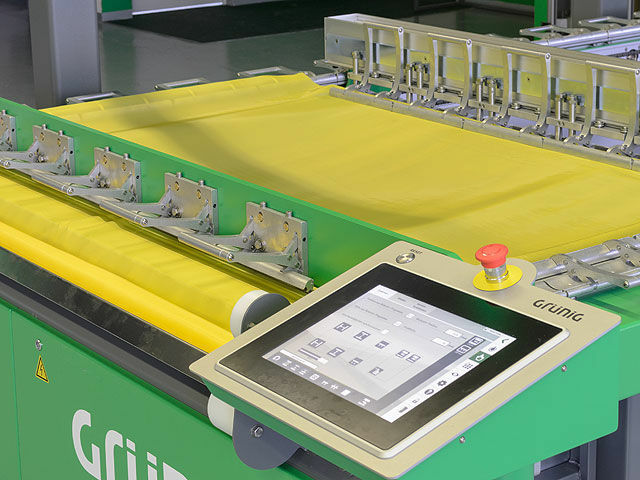 The newly developed electronic G-CHECK 3 mesh tension measuring device automatically measures the tension in weft and warp directions. 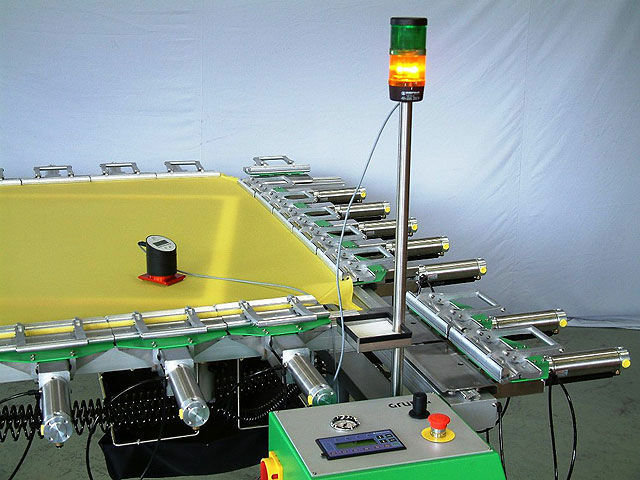 Due to the fact that the measuring system is integrated in the gluing head, the measuring position can be freely selected on the mesh surface and memorized in the stretching program. 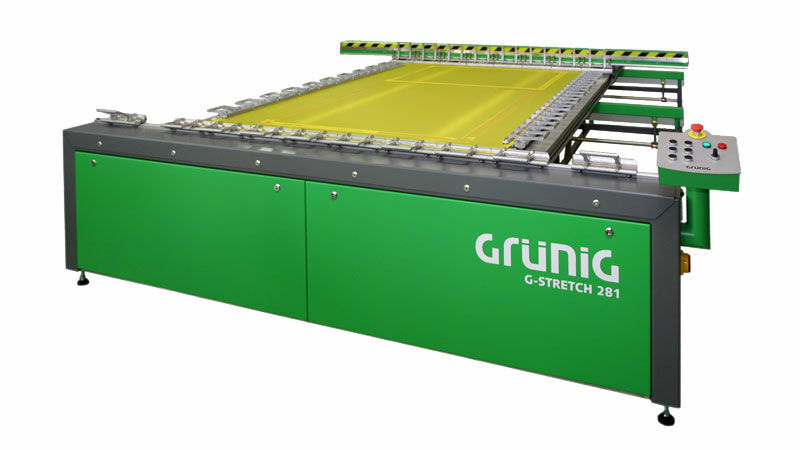 The G-STRETCH 281 XL is a large format electromechanical stretching machine that enables you to reduce mesh costs while stretching with the utmost speed and flexibility. 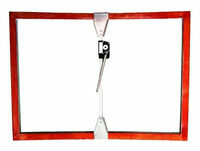 It is ideal for stretching large screens or for simultaneous treatment of several smaller screens. 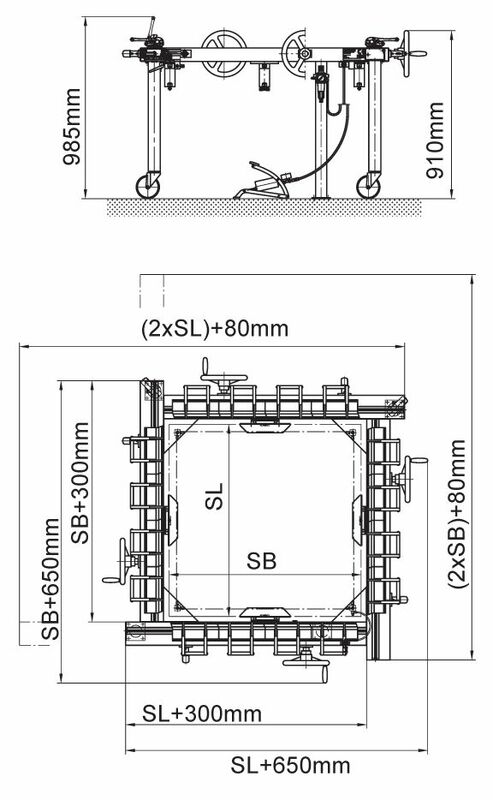 The mesh can be stretched from three sides of the G-STRETCH 281 XL and the stretching clamps are fixed. 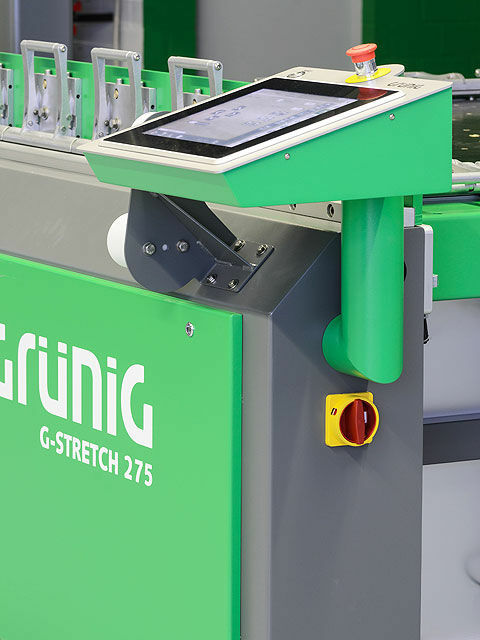 The G-STRETCH 281 XL supports a wide range of optional features that significantly extend its usability and efficiency. 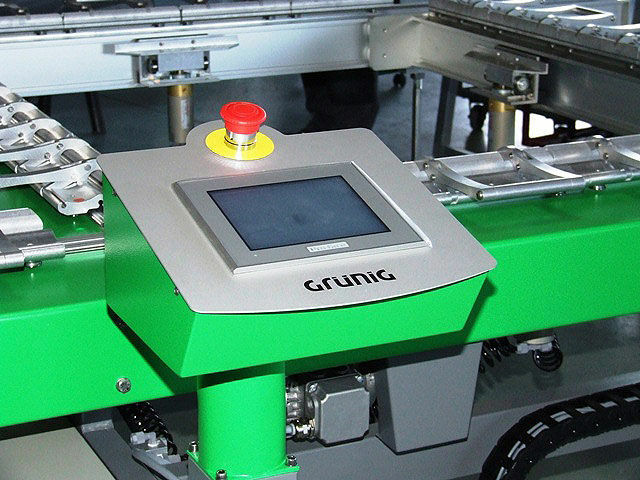 Touch screen control panel for automatic stretching by means of the G-CHECK 2 tension meter. Up to 50 individual stretching programs can be memorized. 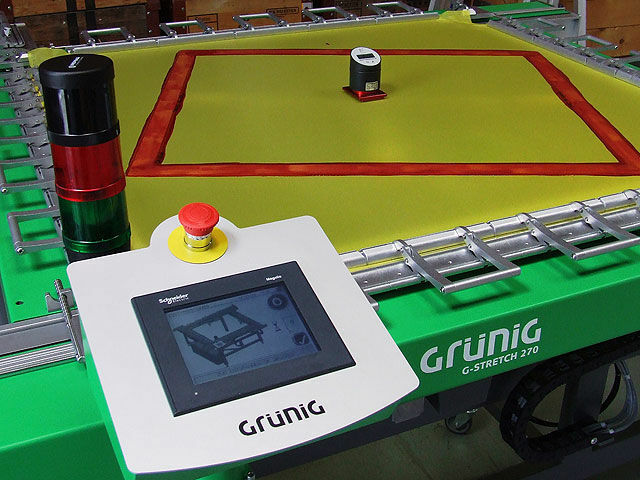 An electronic tension measuring device, G-CHECK 2, (developed by Grünig) automatically measures the mesh tension in weft and warp direction from the lower mesh side. Identical to G1, but with additional pneumatic lowering feature. 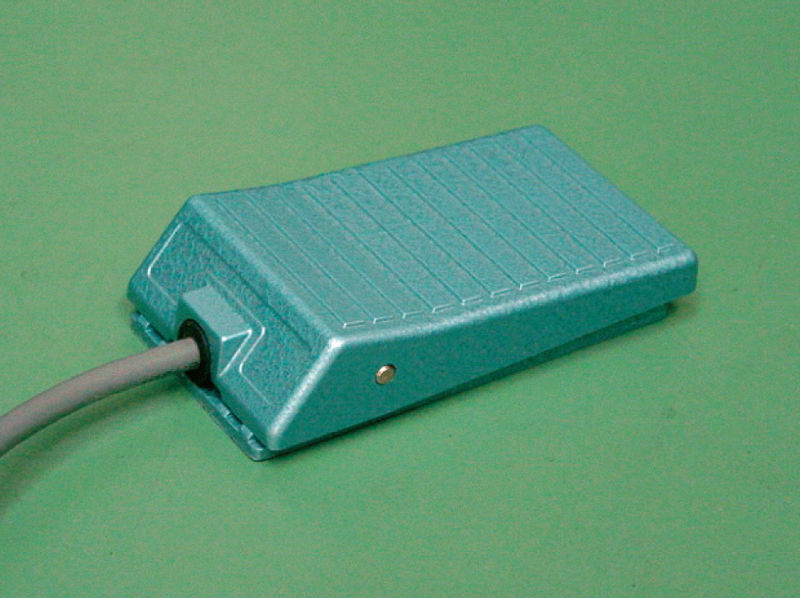 A modem allows remote diagnostics or software updates via telephone line. 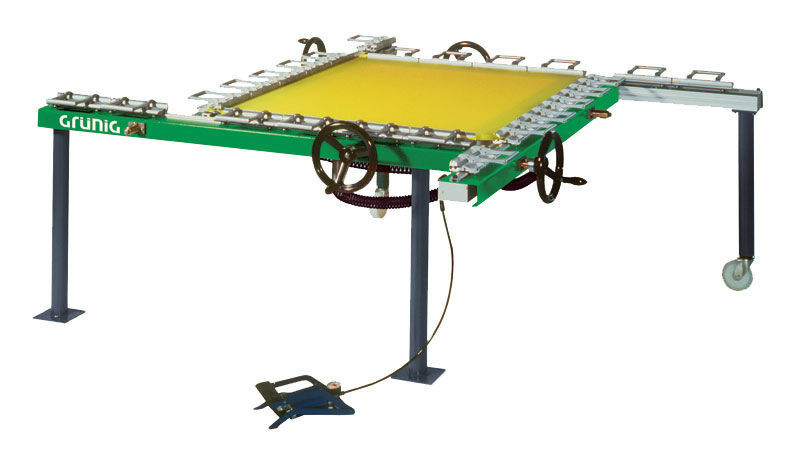 The DynaClamp is a clamp system that provides optimal pneumatic screen tensioning for all screen printing applications. 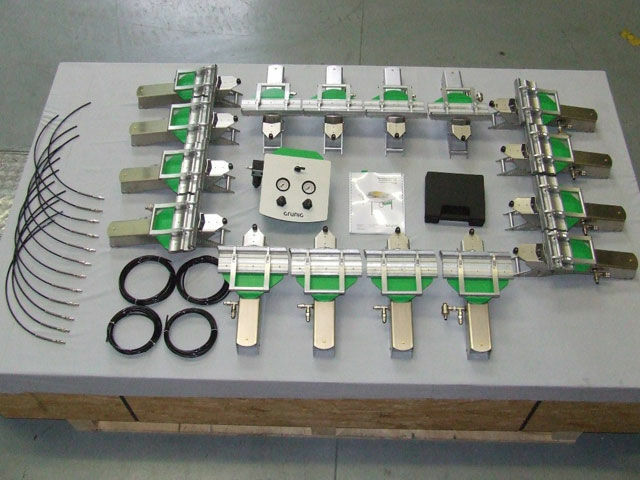 It is a highly advanced, yet easy-to-use system that achieves even the highest recommended tensions more uniformly and without overtensioning the corners. 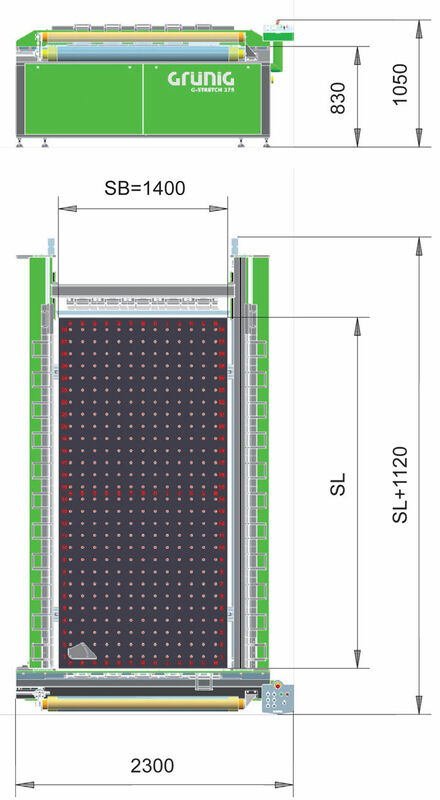 It enables high tension levels and dimensional stability of the screen. 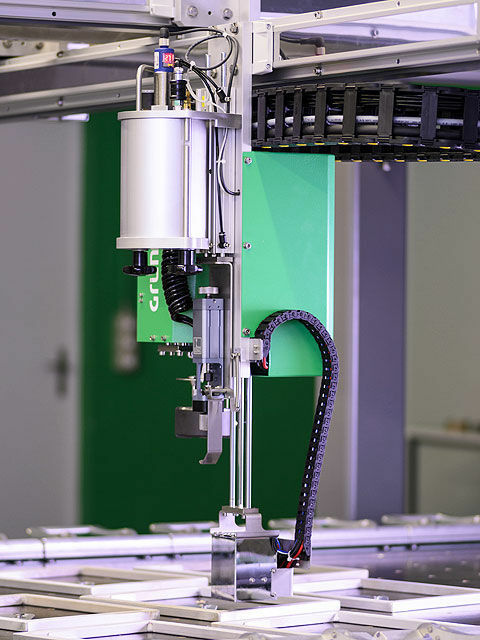 One of the most notable features of the DynaClamp is its independent or simultaneous warp/weft tensioning capability, which allows it to maintain the ideal geometry of the mesh. 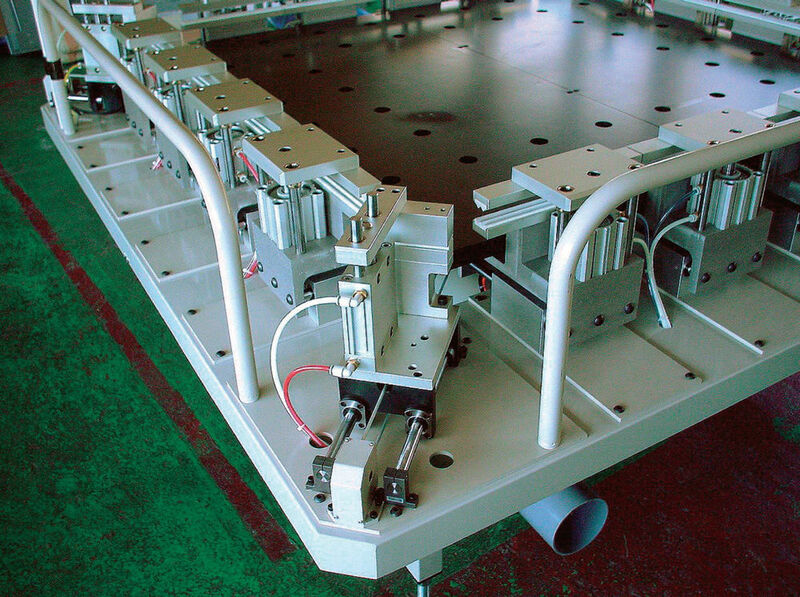 A dedicated control panel allows monodirectional tensioning. 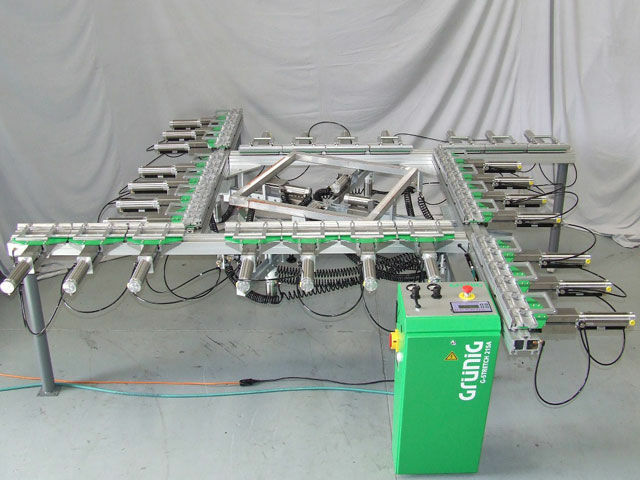 In addition, this newly designed clamp system applies compression to the frame while simultaneously eliminating mesh contact with the frame surface during stretching. 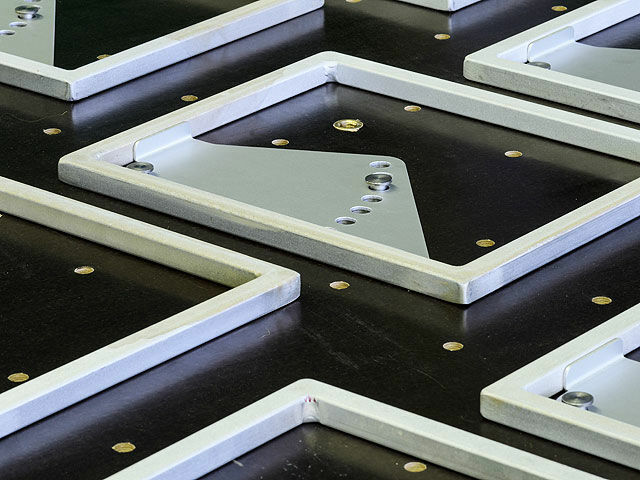 This specialized “no contact” stretching eliminates any hazardous friction, uneven tensioning, or associated tearing caused by stretching the mesh while in contact with rough or uneven frame surfaces. 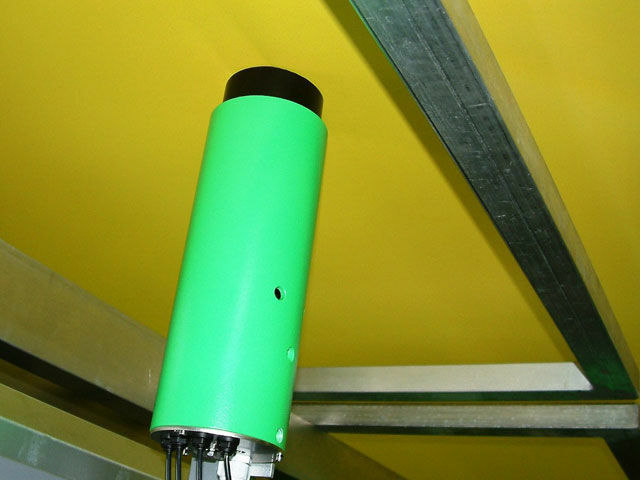 Finally, and perhaps most important, the DynaClamp has extra safety features that ensure the safest working conditions for the operator. 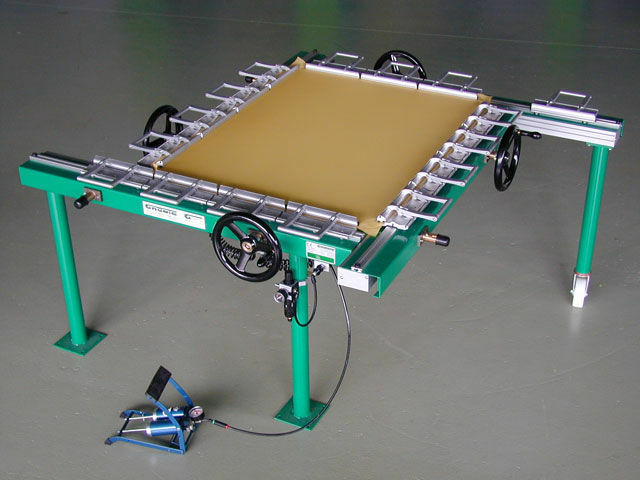 The NBC Precision Stretcher is a pneumatic stretching machine developed by NBC in response to customer demands for higher stretching tension. 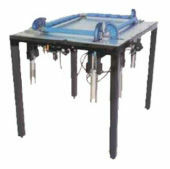 A high end precision device, it features many sophisticated controls not found on conventional stretching equipment. 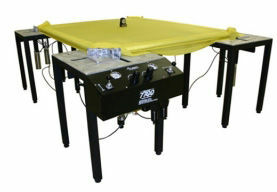 It also employs techniques that are counter-intuitive to traditional stretching in order to tension extremely low elongation meshes such as V-SCREEN. Designed for ease of use, the NBC Precision Stretcher is a stretching device that allows anyone to stretch V-SCREEN to very high tensions with little training. 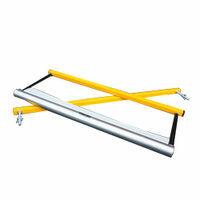 The real ground breaking feature of the Precision Stretcher is its diagonal stretching. Adding tension in the corners is counter to traditional stretching methods, as most stretching equipment adds slack in the corners to avoid tearing the mesh during stretching. However, this conventional approach creates distortion in the corners of the mesh. 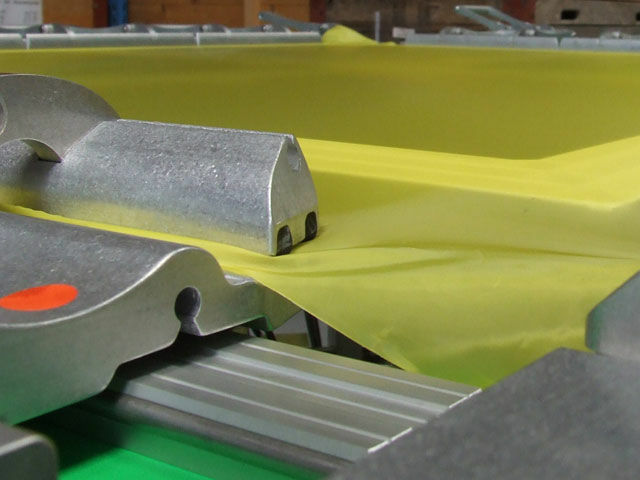 The Precision Stretcher’s novel approach allows for uniform tensioning even in the corners, every time. 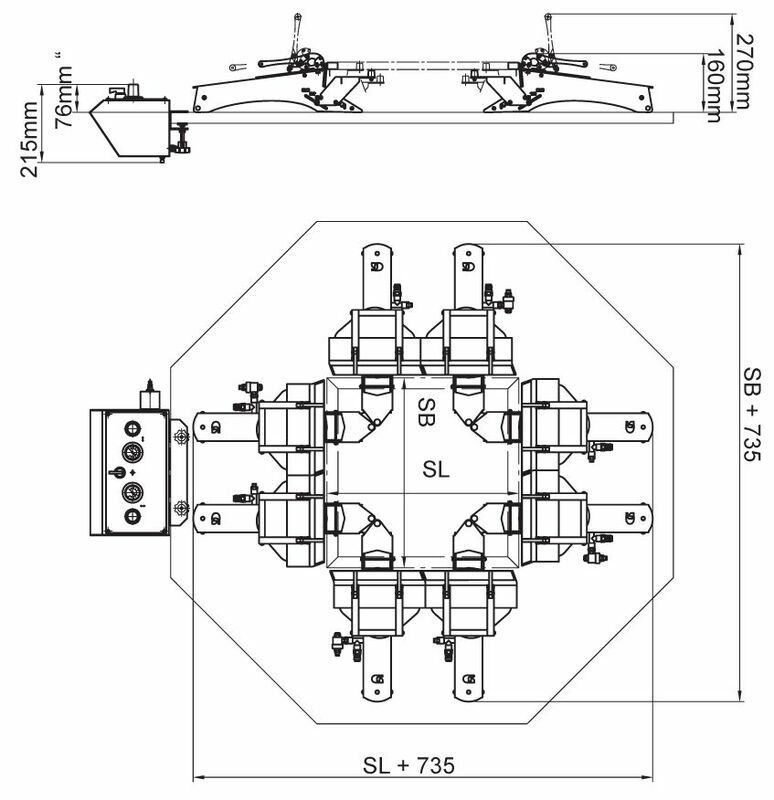 The Newman Roller Master Series of pneumatic stretching devices is designed to quickly and easily stretch Newman Roller Frames. 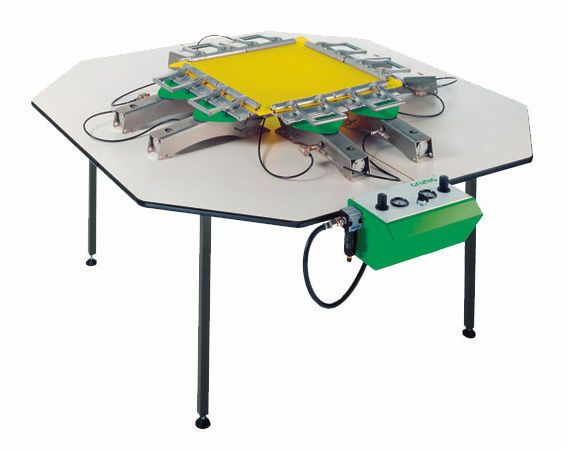 Newman Roller Master stretching devices feature a flat and level table surface that, combined with the precise pneumatic actuation, enables rapid mesh tensioning and stabilization, along with more uniform screen tension. The 4-way simultaneous stretching enabled by these devices, combined with a 3 minute holding stress, is equivalent to approximately 7 to 10 retensionings. 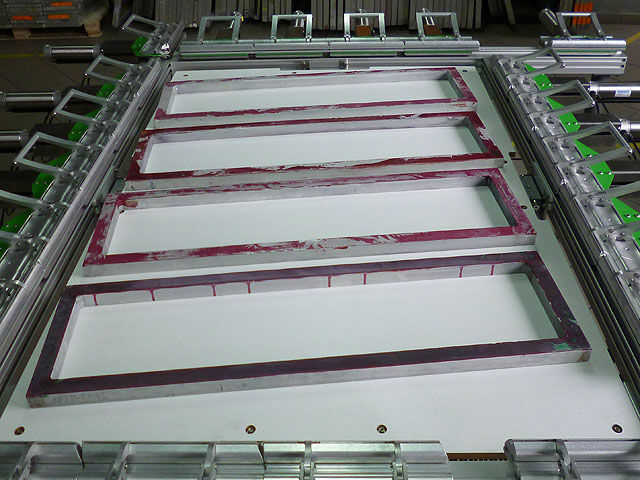 Meanwhile, retensioning mesh with a Roller Master device after the first print run and reclaiming, combined with a 1 minute holding stress, is equivalent to approximately 3 to 4 retensionings. 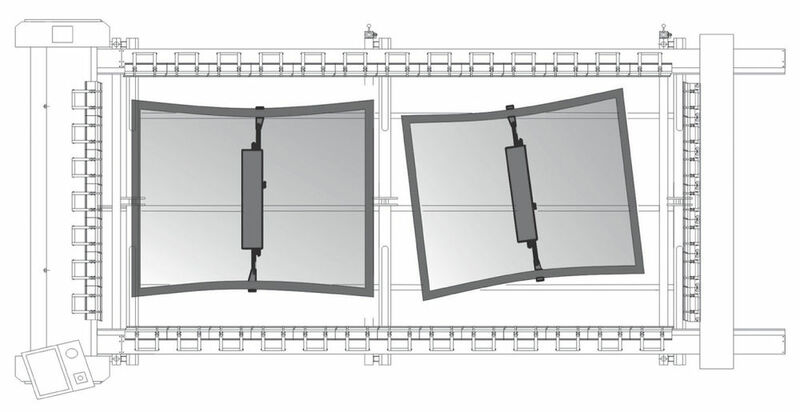 Additionally, PB models are expandable for different frame sizes. 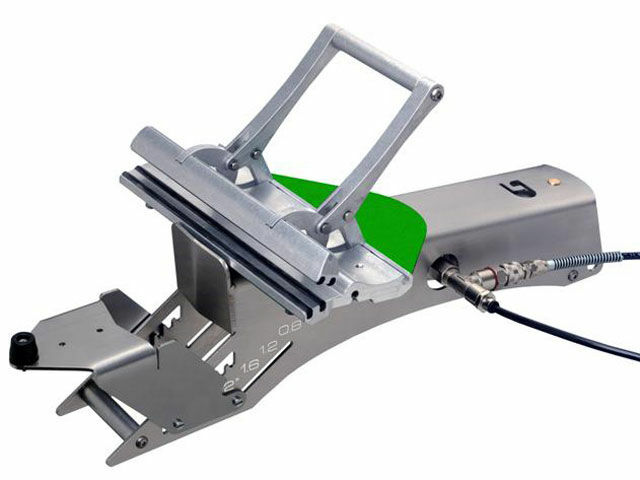 The “E-Z” Frame Tensioning Tool is an economical tool which enables precise tensioning on your Shur-Loc “E-Z” Frames. It stretches all frame sizes up to 23 x 31 in and works with both the standard “E-Z” Frame and the new “E-Z” Angle Converted Frames. 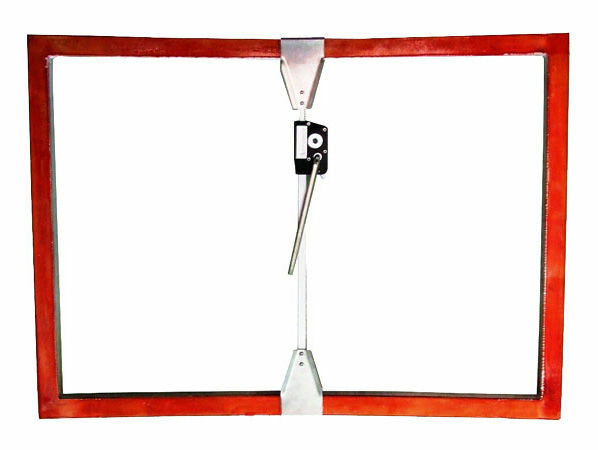 The Shur-Loc “E-Z” Stretcher is a heavy duty tool used to tension Shur-Loc’s “E-Z” Frames. 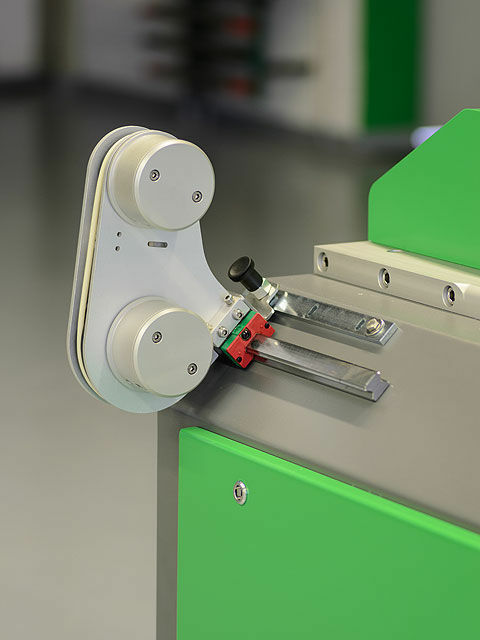 The safety bar that restrains the screen during the stretching process is integrated into the device itself, making for simpler setup and ease of use over the “E-Z” Frame Tensioning Tool.